- Elixir: 50ml/ 1.69fl.oz; perfume: 20ml/ 0.68fl.oz. 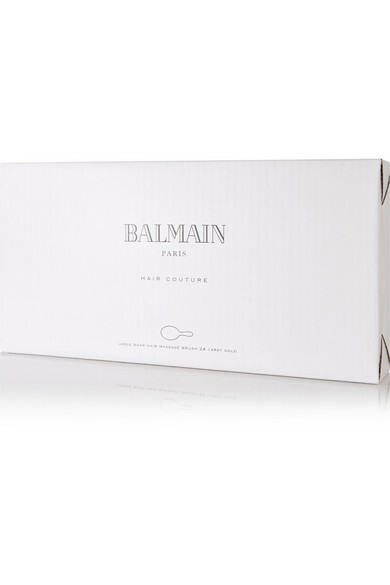 Inspired by models on the runway, Balmain Paris Hair Couture creates easy-to-use products to help you create flawless looks. 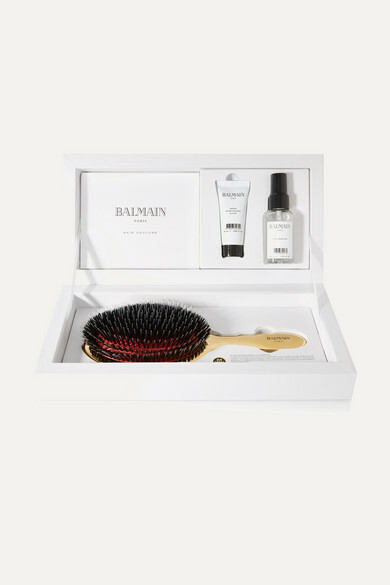 This premium haircare set includes a gold brush that's handmade with boar bristles that naturally condition strands, improve texture and stimulate the scalp. The Argan Moisturizing Elixir and Silk Hair Perfume give your locks a healthy-looking, radiant finish.